Sometimes terrifying circumstances come into our lives. There are financial crises, health crises, spiritual dilemmas, and other things that threaten us. I find hope and encouragement in the hymn, “Trust and Obey.” This hymn was written by John Sammis in 1887. Daniel Townes wrote the melody. You may have grown up singing this great hymn. This song reminds us that the Lord abides with those who trust and obey Him. He bears our burdens and our sorrows. We can never know the delights of God’s love until we lay everything at His feet. God gives joy to those who trust and obey Him. What is it about us that makes us think we can handle every storm that comes our way? Why do we delay going to God? Are you guilty of saying, “Well, all I can do now is pray”? 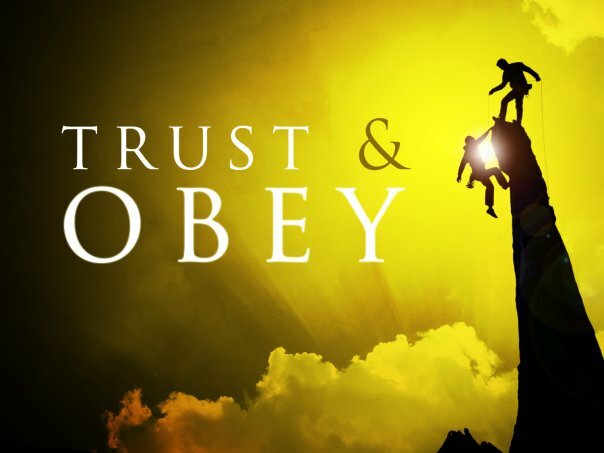 God desires our trust and obedience. He blesses us when we trust and obey. If your life is in chaos right now maybe it is because you are not trusting God. Psalm 9:10 gives us a clear message: Those who know your name will trust in you, for you, Lord, have never forsaken those who seek you. This doesn’t mean that we live a life free from suffering. It means that God will be with us no matter what we face. By nature I am an independent person. I learned to totally trust God when we lost our 32-year old daughter a few years ago to a rare illness. “Miss Independent” certainly couldn’t handle that situation without God. My husband and I now take all our decisions, burdens, and sorrows to God. We can certainly trust Him to do what is best for us and to lead us in the right direction. God knows the future. We can only know what’s happening right now. 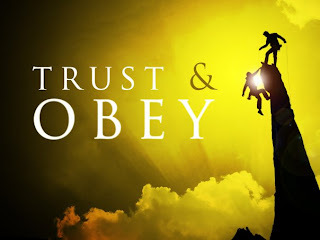 Trust and obey, for there’s no other way.